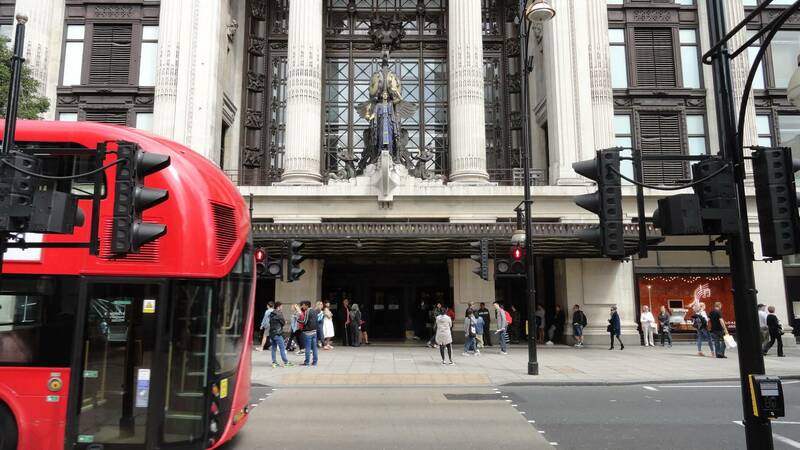 One thing that everyone will do when they visit London, whether they’re travelling on holiday or for business, is a bit of shopping. The retail districts throughout the city are world famous for their high-end boutiques and flagship stores. If you’re heading to London and you want to treat your wife or girlfriend to something nice, there are plenty of places to choose from. With so many luxury shopping destinations in London, it may actually be possible to shop ‘til you drop so we’ve put together this helpful shopping guide to reduce the stress and help you find the perfect gift for the one you love. Treating your partner to some new clothes may sound risky but as long as you know her sizes, it can be done. If you’re worried about getting the right style, you can’t go wrong at Selfridges. 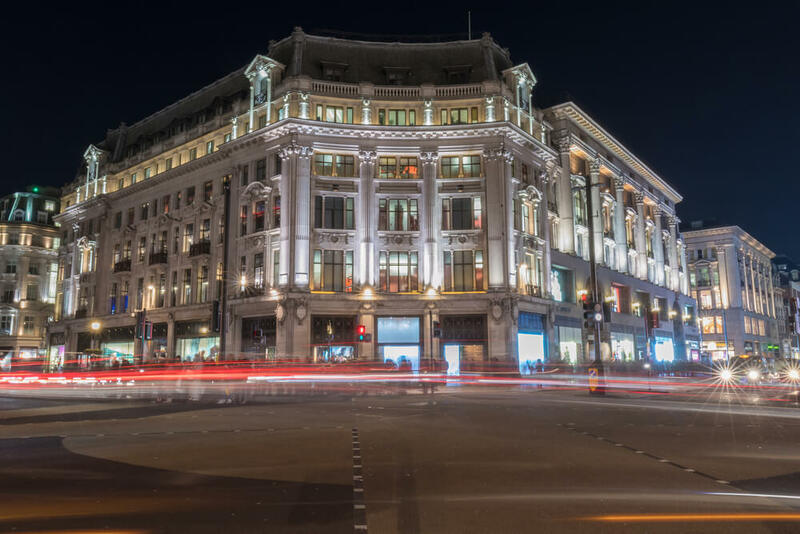 The famous department store is one of London’s oldest and for decades has been a retail Mecca for shoppers from around the world. 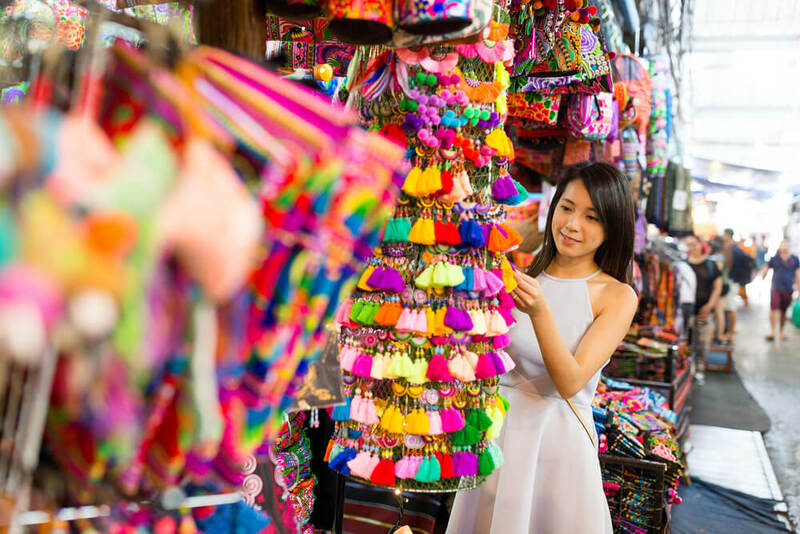 From vintage boutiques to luxury fashion brands, you can find everything you need to fill your girlfriend’s wardrobe. Be sure to ask our friendly staff at the Grand Hotel Hyde Park for their opinion if you’re unsure on what you’ve bought. They say that diamonds are a girl’s best friend. If that’s the case, you’ll have a lot of new friends to choose from as you walk through the doors of Wolf and Badger. The luxury Mayfair jewellers has become a hotspot for shoppers in search of high-end, custom jewellery. For decades this shop has provided quality service to some of London’s most exclusive residents. Whether you’re looking for a new set of earrings or a beautiful new necklace, you’ll find all sorts of jewel encrusted accessories at Wolf & Badger. Sometimes simple is best and nothing says I love you like a classic bouquet of flowers. If you’re looking to really impress though, the place to go is Orchidya. The beautiful selection of expertly arranged bouquets at this luxury florist is rivalled by none other in the city. Whether you’re looking for roses, lilies or carnations, you can craft the perfect bunch of flowers for your loved one. The luxurious interior of this boutique style florist is a perfect expression of why Orchidya has become one of the most popular shopping destinations in London. Treat your partner to a beautiful new scent at this upscale perfume shop in the heart of Belgravia. With hundreds of different brands to choose from, you could spend all day testing out the different perfumes before settling on the perfect one. You shouldn’t struggle to find the right perfume whether your girlfriend prefers a sweet scent or a more subtle fragrance. The shops itself is a gorgeous example of the luxury shopping experience that London is famous for. Share the post "Shopping for your girlfriend in London"